With the start of 2017, we’ve said farewell to some tired interior decor trends that have worn out their welcome. Once considered innovative and edgy, those bad boys are now giving us the blahs. But, when one trend goes out, another must come in. It’s the design circle of life! So what’s replacing the old fads with fun, new ideas? Your friends will fawn over these eight trends—from “jungalows” to jewel tones—that promise to hit it big in 2017. Want to be a showoff (the good kind)? Be the first to integrate them into your home. 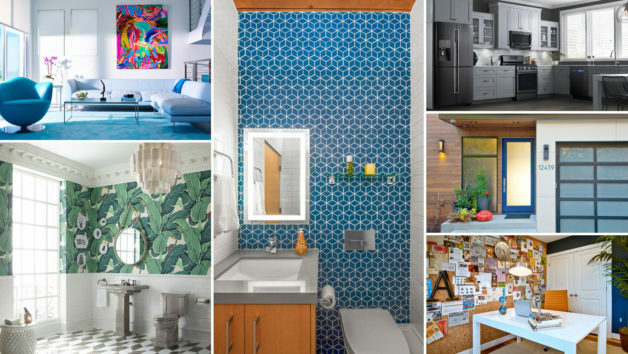 Say goodbye to soft, gentle curves—funky geometric patterns will rule the roost in 2017. Embrace your memories of high school math with geometric throw pillows, wallpaper, and quirky planters. 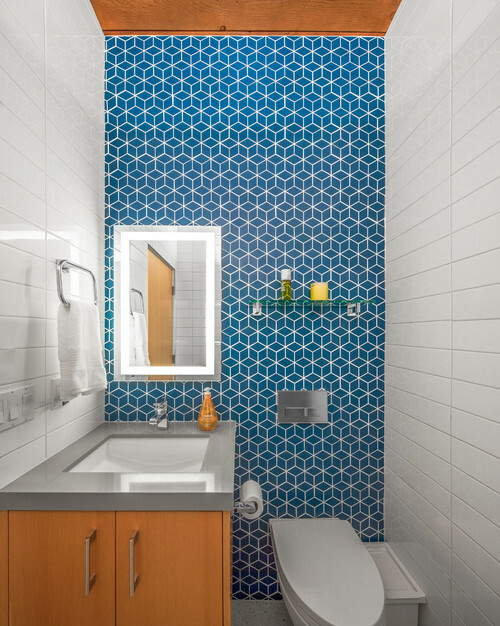 “Large, mod geometric designs made an appearance in 2016 and will be a front-runner in 2017,” says Jeffrey Weldler, an interior decorating expert with Vant Panels. Scared this fun new style will feel out of place in your old-school home? Don’t be. Last year welcomed the bold return of art deco–inspired designs, and with them come luxurious jewel tones. Indulge your regal side with rich emerald chairs, bold sapphire walls, and amethyst accents. 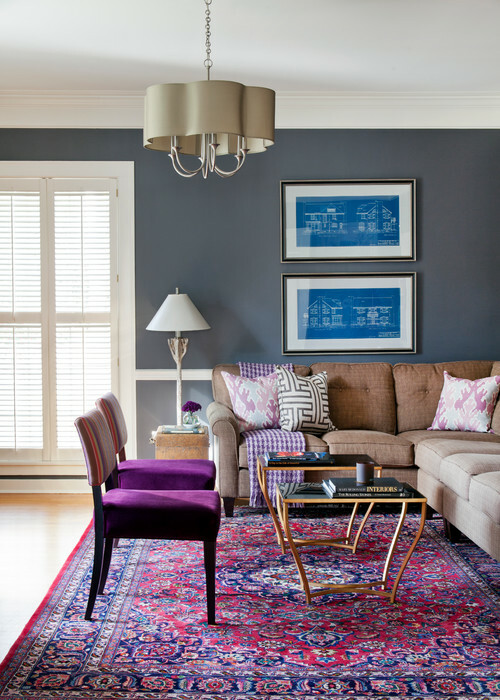 “These colors offer depth and a richness that will make a space feel cozy, yet luxurious,” says designer Liz Toombs. Pair the designs with neutral, minimal wall colors for a toned-down take on the trend, or go wild and slather your entire living space in vivid color. It’s 2017. Isn’t it time to fully embrace our eco-friendly side? 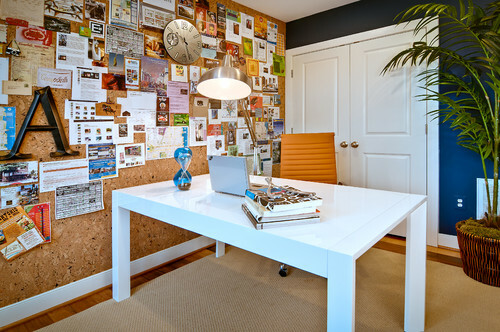 Cork walls are “not only trendy, but also functional,” says Than Merrill, a real estate investor with FortuneBuilders. 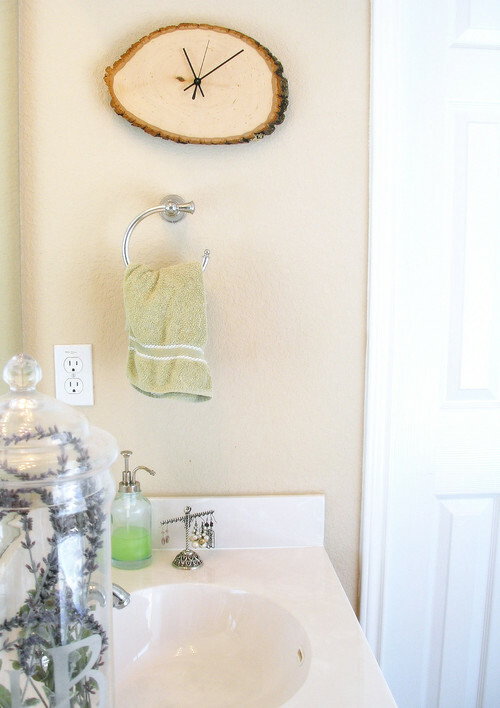 Swap out your old chalkboard wall for cork, and pick up some fun pushpins (try fabric, flowers, or even teeny rabbits). Keep track of to-do lists, notes, reminders, and your favorite recipes on your cork board (aka the original Pinterest). Not sure where to put a cork in it? Merrill recommends “livening up dead space” in a home office or kitchen. It’s the year of the “jungalow.” Your new, jewel-toned walls will look fabulous alongside lush tropical plants: spider plants, Dracaena, and gorgeous ferns. Cursed with the blackest of thumbs? 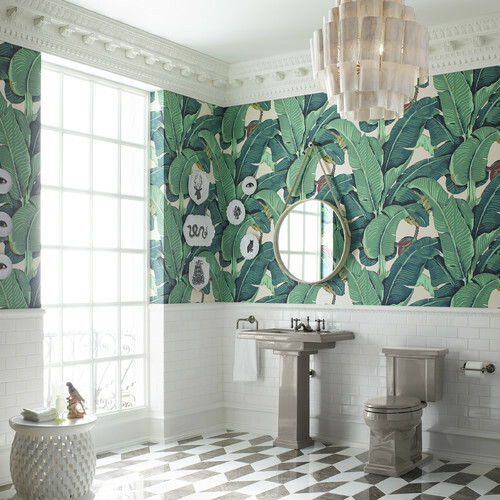 You can still embrace the tropical trend, which “mixes printed and embellished textiles ranging from novelty fruits to animal print to palm fronds,” says textile designer Caroline Cecil. Add accents in bright yellows, deep greens, and earthy oranges and reds to bring this creative look home. Pantone’s Color of the Year might be an interesting yellow-green, but its spring trend forecast is “all about the blues,” says Weldler. 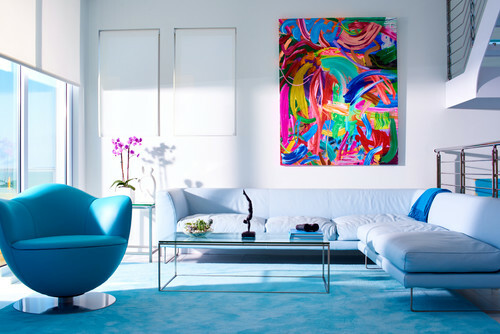 Dressing your home in shades of sky—from sapphire (another one of those glorious jewel tones) to teals and soft baby blues—has never been so fashionable. Whether you want to express confidence and strength or calm down after a long day at work, there’s a blue tone perfect for your space. And when those tones are mixed together, it’s the ultimate in relaxation. We’re moving away from metal and back to an earthier feel. Wood accents will be everywhere in 2017, says Erika Dalager of home design startup roOomy. No, we’re not talking about wood paneling (although that’s sneaking its way back, too). Look for modern wood clocks, sculptures, trays, and furniture that pair perfectly with today’s streamlined aesthetic. And yes, a lot of that wood will be reclaimed—so we can keep our wonderful forests. Remodeling your kitchen in 2017? Now’s your chance to get ahead of a trend. 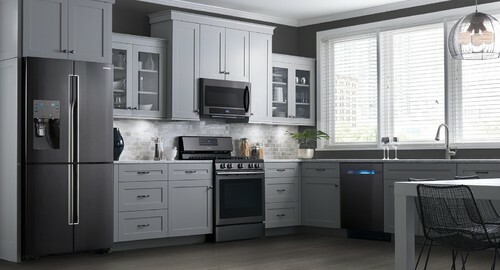 Stainless-steel appliances have ruled the kitchen for years now. And why not? They’re sleek, easy to clean, and pretty. But it’s time for a change. Say adios to plain old black. Get rid of that sad, boring straight-from-the-store wood. If you’re eager to try something bold in 2017, try painting your front door. 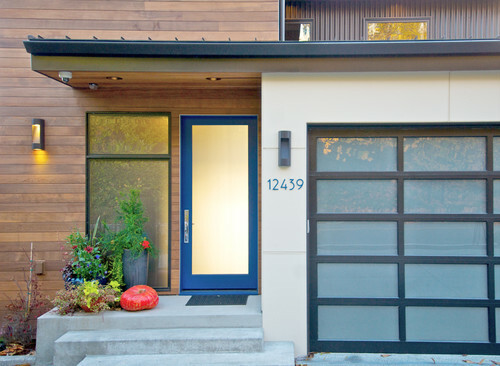 “Next year, homeowners should focus on transforming their front door into one that pops,” Merrill says. Try one of those bold blues, or maybe a bright red. Or figure out what you want your door to say about you, and pick a color accordingly. And if you hate it? Don’t worry: You can always paint again.